Seen on my journeys to work this week. Are TFL making more journeys and with hidden fair rises? I though it was checkin, get on, get off, check out and that’s your journey. If they both start and end in Z2, then it’s a single zone ticket. 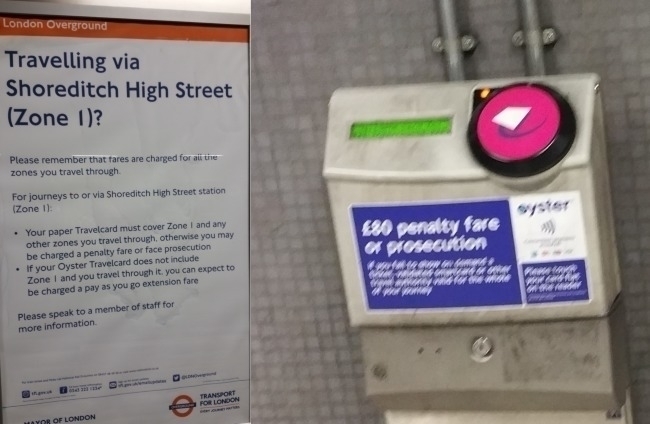 Are they fining you for travelling through Shoreditch High Street on the train? Whitechapel to Hoxton should be a Zone 2 journey and yet you can’t avoid SHS.